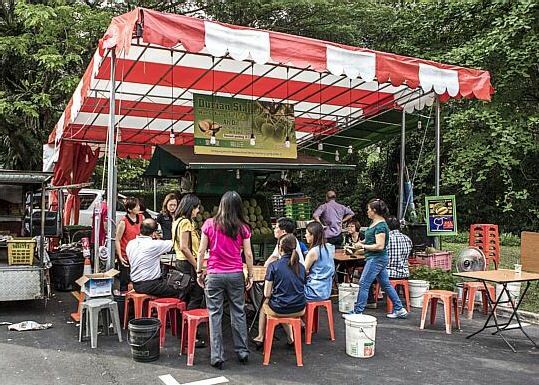 Ah Di Durian is a makeshift durian stall located in the secluded carpark at Dempsey Hill. The store is owned and managed by a durian veteran named Ah Di and his wife. Their clients refer to them as the Uncle Boss and Aunt Lady Boss. 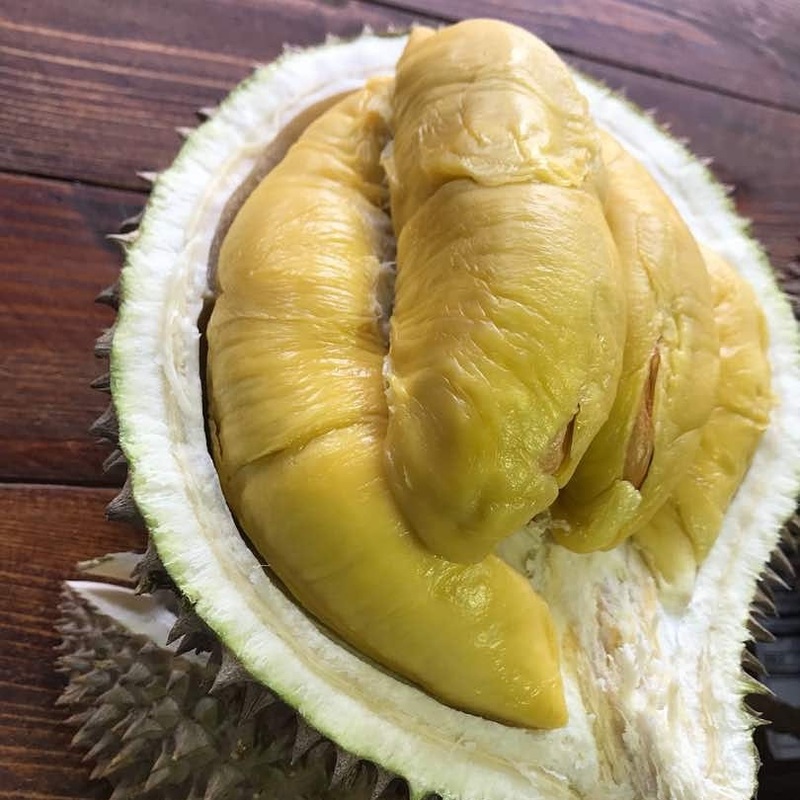 The owners know a lot about the durian and its varieties and are proud to support local because his products are fresh off the boat from Pulau Ubin. Ah Di Durian is one of the durian stalls that sell the most varieties of durian. Their selection ranges from King of Kings, Mao Shan Wang, Red Prawn, Gold Phoenix, Old Lady Butter, Kamkong, Gourd King, Green Bamboo King, Black Thorn, Black Pearl, and Century. But as expected, some of the varieties are not always available due to the season. Are you new to durian? Are you not familiar with the different varieties of durian? If that is the case, there is no need to worry. In Ah Di Durian, you are not required to memorize the name, texture, taste of each and every durian variety. All that you have to do is to tell the owner your preferred taste and texture, and he will be able to pick out a type of durian that will suit your personal preference. As per the reviews of their previous customers, the prices in Ah Di Durian is a bit higher than all the other durian stores in the area. As mentioned above, the makeshift stall is located in a secluded carpark. As the carpark is secluded, the booth has a wide space that is filled with chairs and tables where customers can dine in. Aside from the free seating, the stall also offers free water which can help balance the richness and heat of the durian. Moreover, they also provide their dine-in clients with free plastic gloves so their hands won’t smell much after eating the durian. While the customers are not exactly a fan of the high prices of Ah Di Durian, one thing they always rave about is the excellent customer service that they have received from the establishment. According to them, the owner and the other sellers are sincere, friendly and welcoming. They claim that the service always comes with a smile, no matter how demanding they get. Yet another complaint that customers have about the stall is that they do not provide price information. Most durian stalls in Singapore post the prices of their products on their website or Facebook page, but this is not the case with Ah Di Durian. – No delivery information is provided about Ah Di Durian. – Price information of Ah Di Durian is not available.